Do you want to keep track of what you do for something related to your work ? For something related to your hobby ? For something related to ..... ? 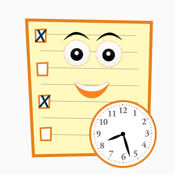 - Organize your activities into categories. - Check real-time the duration of your activities and every single active session. - You can display only activities still to be completed. - You can display only the activities of a selected category. - You may at any time create a new session by retrieving information from the last session. - You can create a PDF with the list of sessions for activity and send it by email. - You can customize the PDF report by customizing the logo. - You can save your work on iCloud and sync them between your devices. Follow us on Twitter (@SomethingApp , @InfoAGT) ! iTunes: When you have a moment of time, write a review, is the only way we listen to your opinions and your suggestions for future implementations.